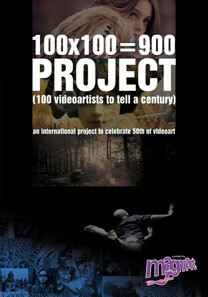 Crosstalk Video Art Festival was founded by Adrien Török in 2008. Besides the festival she initiated a monthly discussion series which resulted in more than 20 Hungarian and international media artists being presented to Budapest audiences; the discussion series was awarded in 2010 the Catalyst Award tranzit.hu. Currently she is recovering from an illness and with her support Crosstalk Video Art Festival is being produced by a four-member festival organizing group that includes: Eike (artist, founder of Videospace), Szilvi Német (curator, critic, art director of Dovin), Sugár János, Allan Siegel (both artists and instructors at MKE Intermedia Department). Crosstalk Video Art Festival in an annual video art exhibit seeking to uprise people's awareness for video as a form of art that is inserted in their life more than it's noticed. Crosstalk Video Art Festival brings a prospective to the Budapest contemporary art scene: it connects people through art and urban environment and aims to create an interlock of network of viewers and artists. ﻿﻿Next to the annual festival, we organize the Crosstalk Video Presentation series in a monthly rotation, that seeks to maintain attention towards our agenda in the form of a regularly organized event-series. The monthly program aims to provide Hungarians and international video artists with an open, strait dialogue platform to meet personally with the videolover public. Once a month an artist or a curator is invited to present their videos and share their experiences with the audience. The video presentation serie takes place at pop up places every now and then.